The Divi Flamingo Beach Resort & Casino in Bonaire, Netherlands Antilles - Buy a 7 Night Stay in a Studio Unit! 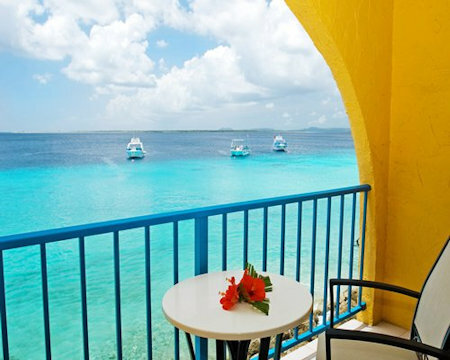 Enjoy a 7 Night Stay in a Studio Unit at The Divi Flamingo Beach Resort & Casino in Bonaire, Netherlands Antilles! 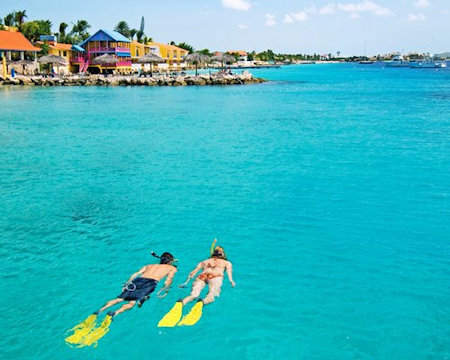 Colorful, unpretentious, and fun- the Divi Flamingo Beach Resort and Casino is the perfect base for vacationers drawn to the sleepy island of Bonaire and world-class Caribbean scuba diving. 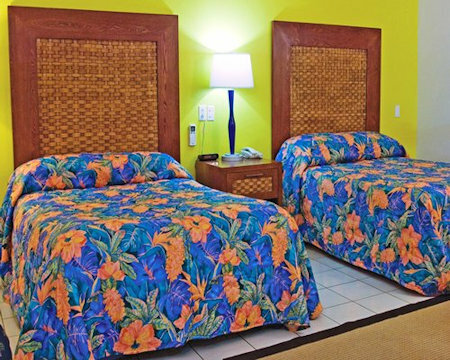 Spacious oceanfront and gardenview guestrooms are gaily decorated in bright, tropical colors. Private balconies overlook the Caribbean Sea and invite guests to relax after a day of diving. The Divi Flamingo Beach Resort & Casino offers Divi Dive Bonaire- a PADI five star dive operation with custom dive boats, equipment, and an experienced dive crew. Divi Flamingo Beach Resort and Casino offers guests an amazing underwater adventure with Divi Dive Bonaire- a PADI gold palm dive center located on the property. 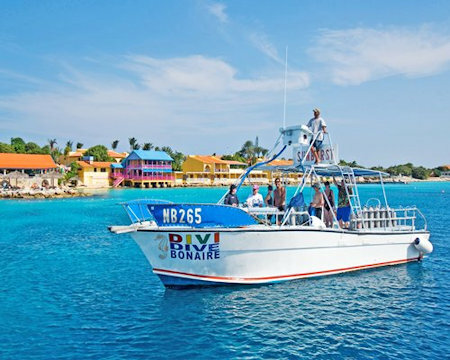 Dive Bonaire conveniently provides five custom dive boats, guest gear storage, fully equipped dive shop, and an experienced dive crew with over ten years experience diving in Bonaire. Morning, afternoon, and night boat dives are available to guests, and fabulous shore diving is available 24 hours a day from the Flamingo beach or dive dock. Dive Bonaire offers a full range of certification courses for both advanced and beginning divers. Studio Unit: (maximum occupancy 4) This unit has a full kitchen. For years Bonaire has been rated the Top Dive Destination Overall (Caribbean/Atlantic) in Scuba Diving magazine’s Readers’ Choice Awards. Bonaire also received the #1 rating in eight other Caribbean/Atlantic categories: Top Marine Life, Top Marine Environment, Top Macro Life, Top Shore Diving Destination, Top Destination for Underwater Photography, Top Destination for Beginners, Top Value, and Top Snorkeling. Guestrooms offer tropical garden or pool views. Each room includes one or two double beds, color television, air- conditioning, refrigerator, coffee maker, and in-room safe. The following taxes and fees are locally collected and are not included in the offer price!